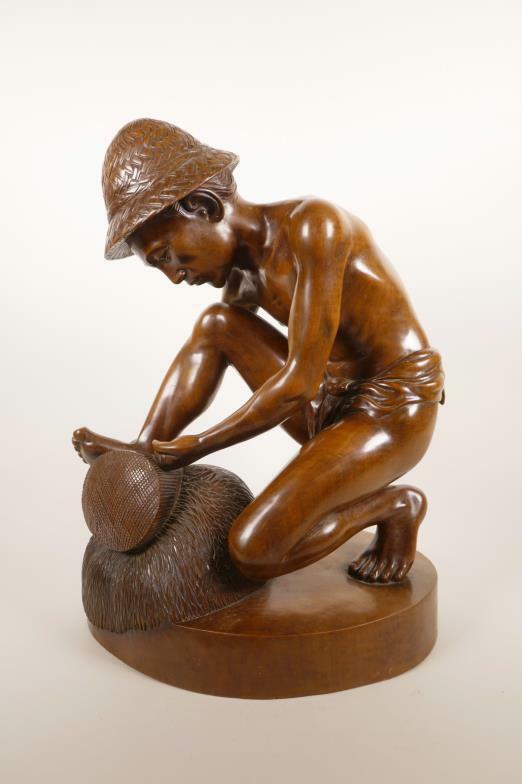 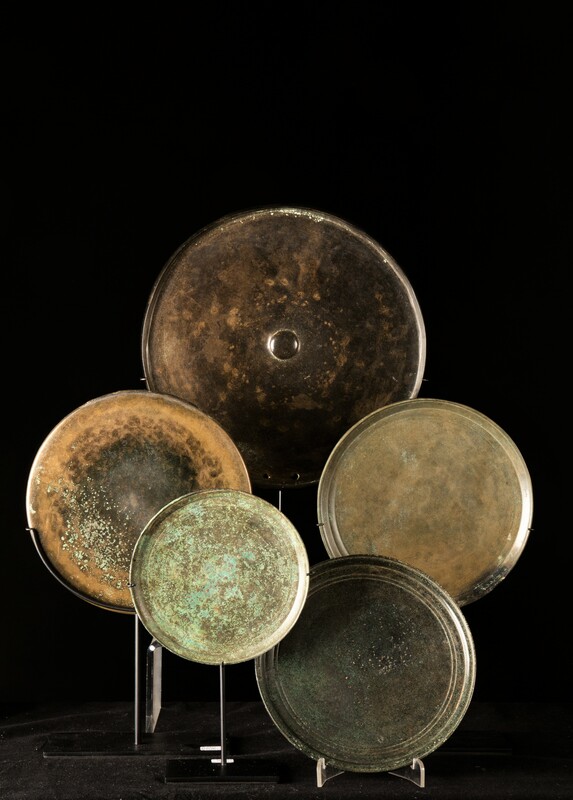 H. 34 cms, 13 ½ ins. 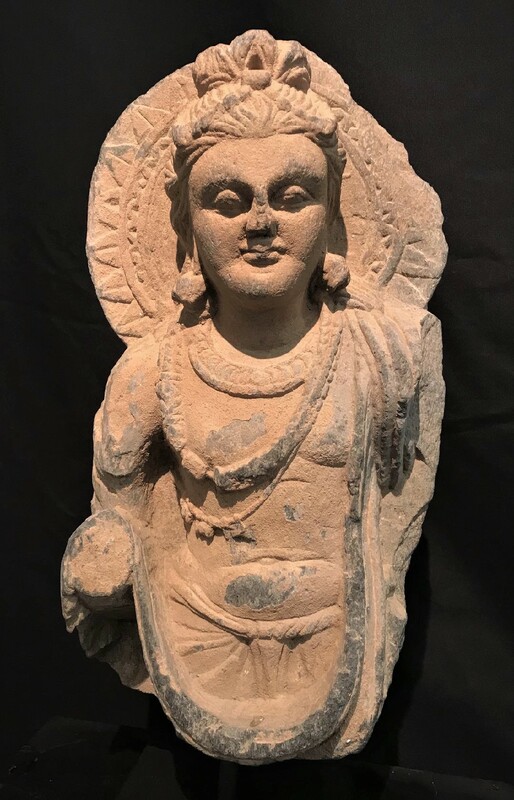 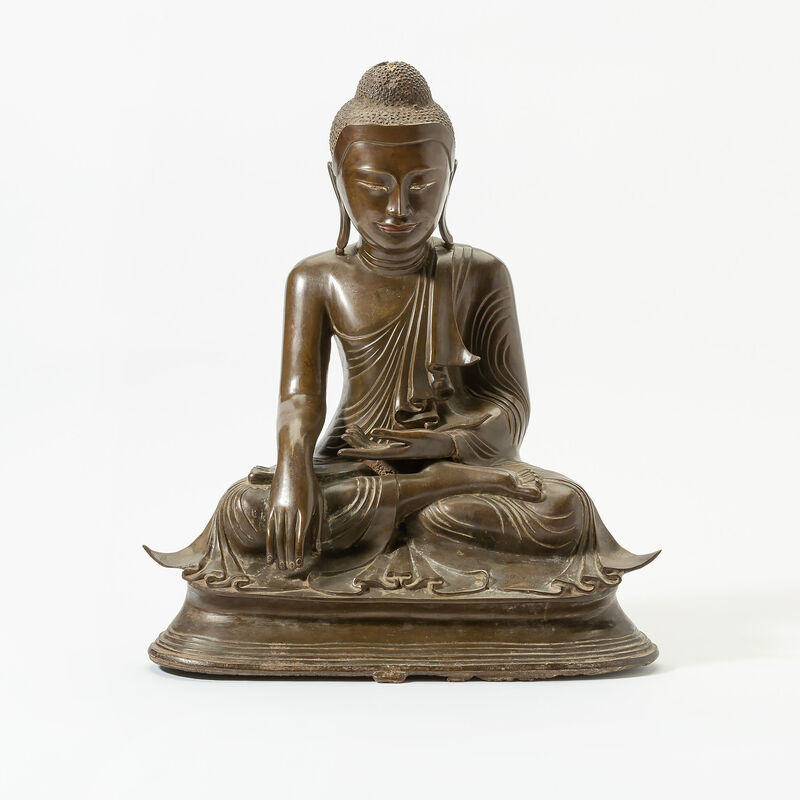 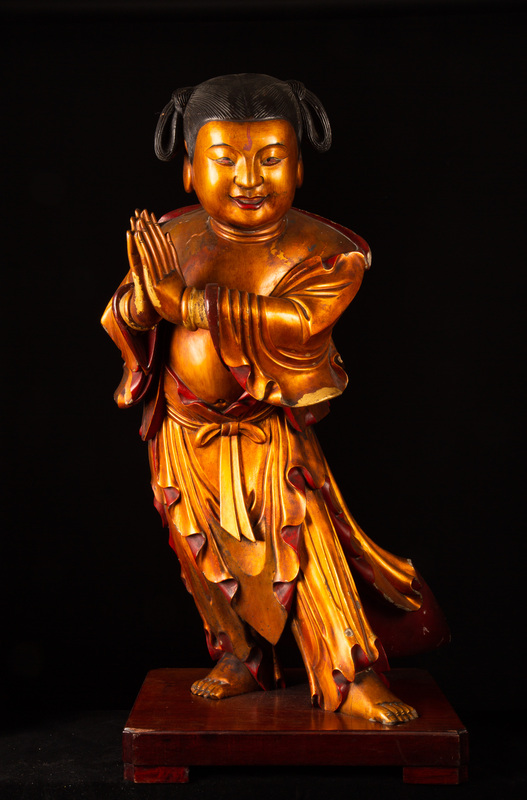 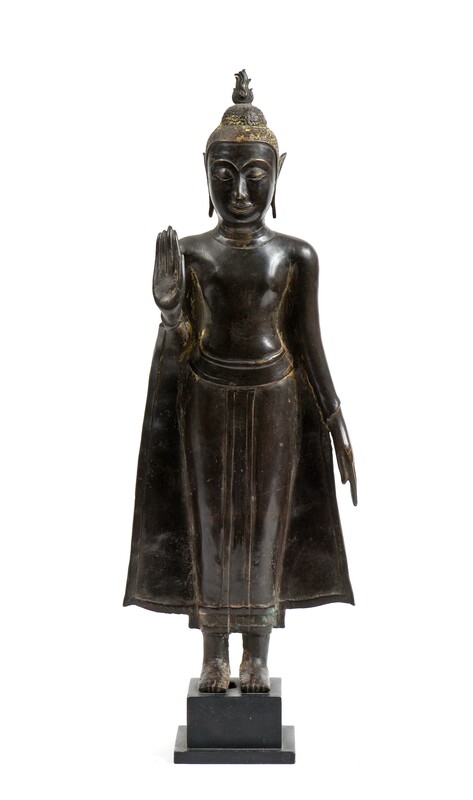 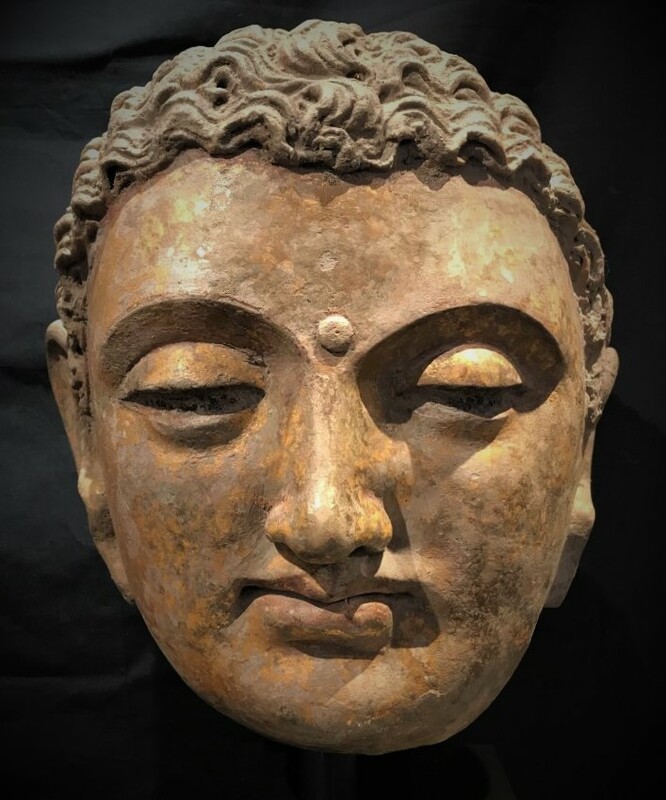 A graceful bronze figure of Buddha standing with his feet slightly apart, both hands raised in abhayamudra (the gesture of dispelling fear), the face calm and smiling beneath a conical chignon rising to a flame finial; the sanghati covering both shoulders with a broad belt and a central fold between the legs; with extensive traces of gilding and lacquer on the surface. 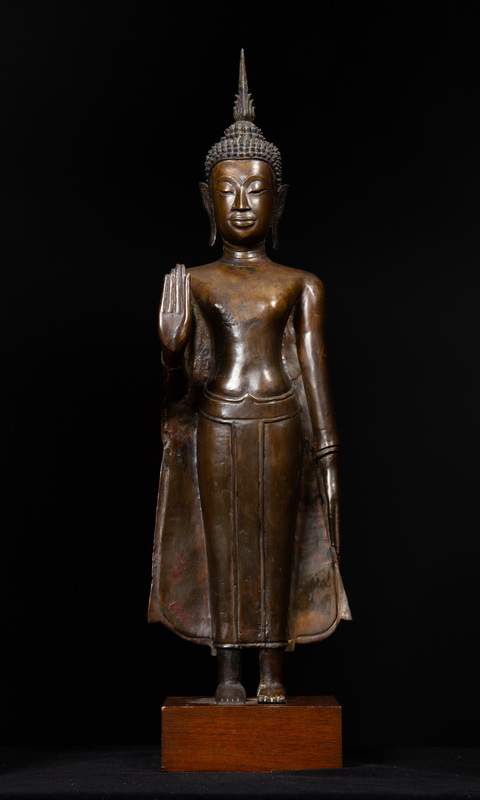 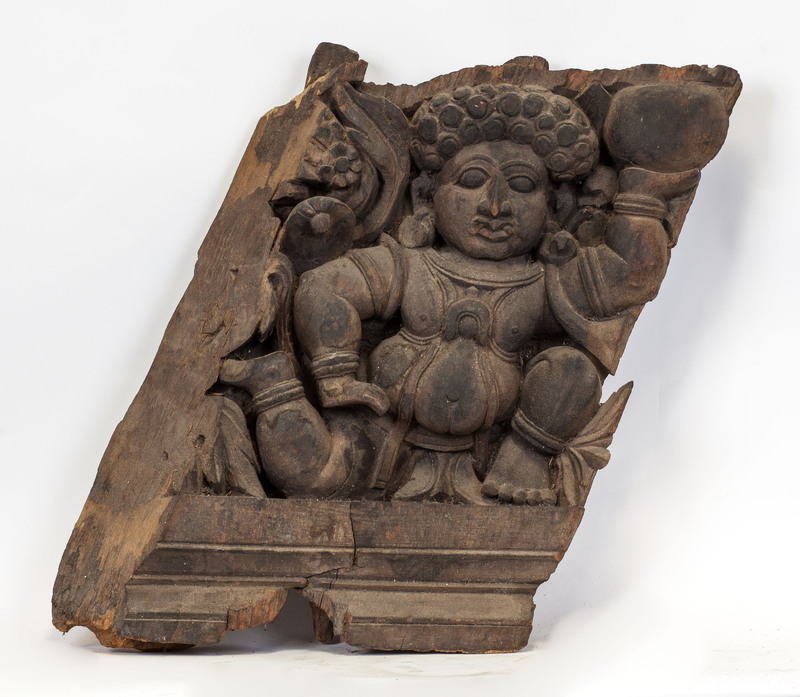 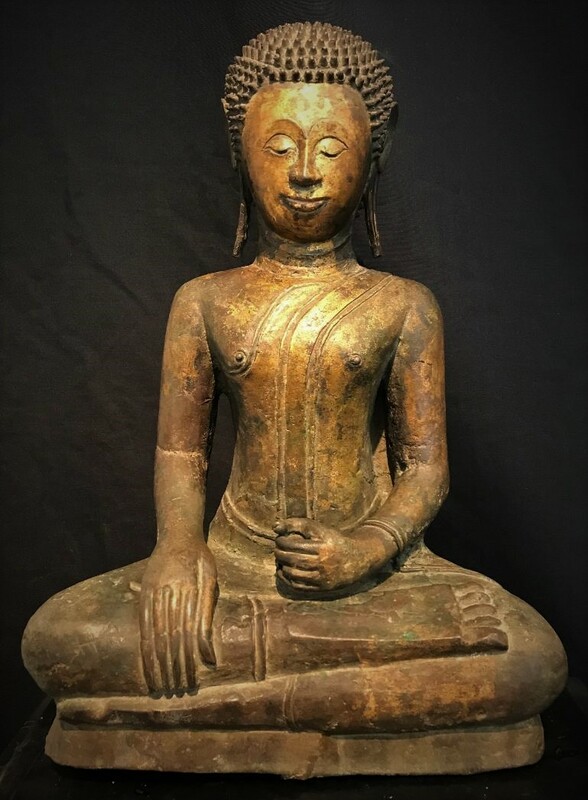 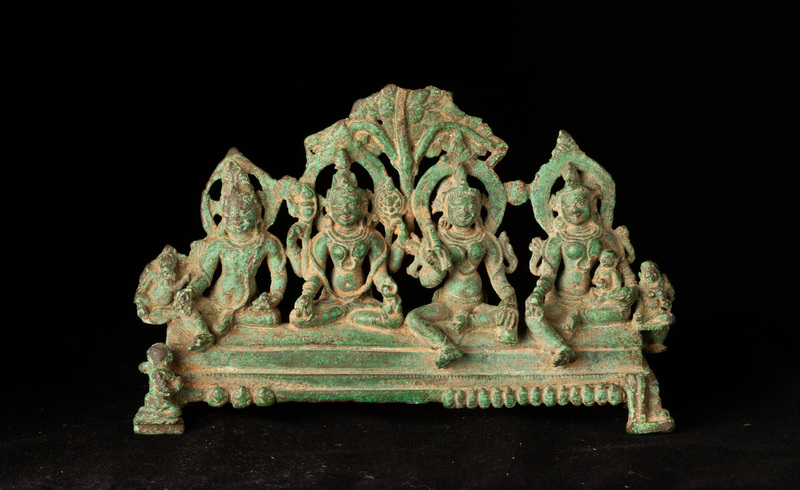 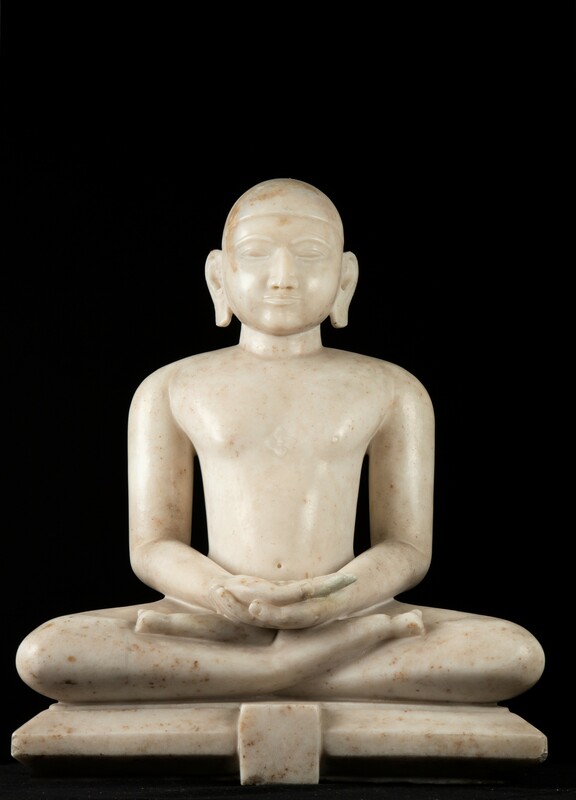 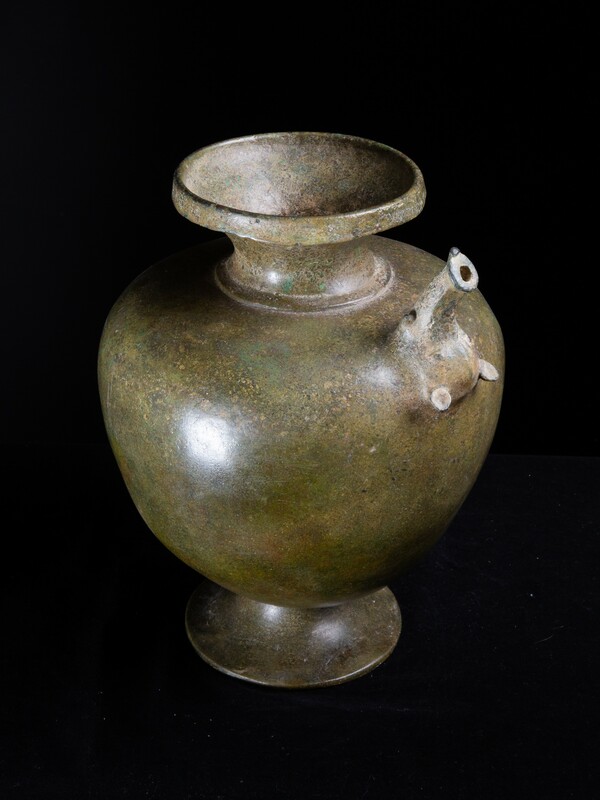 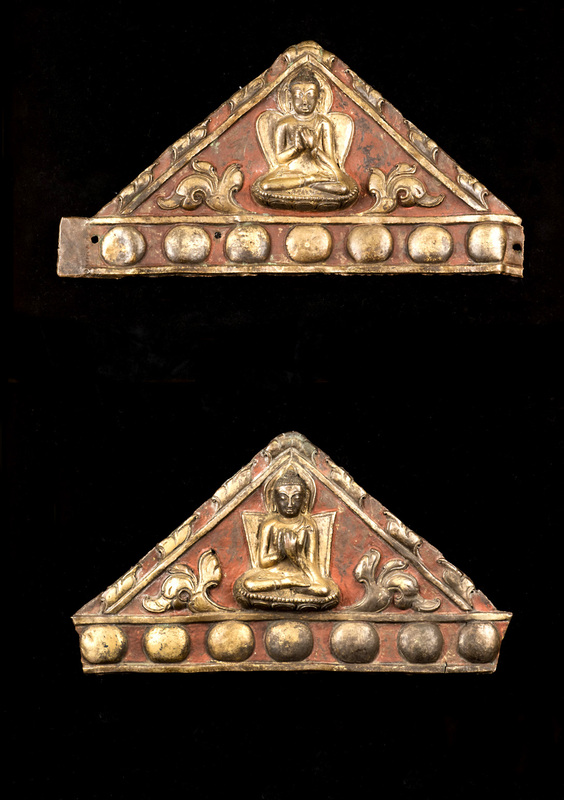 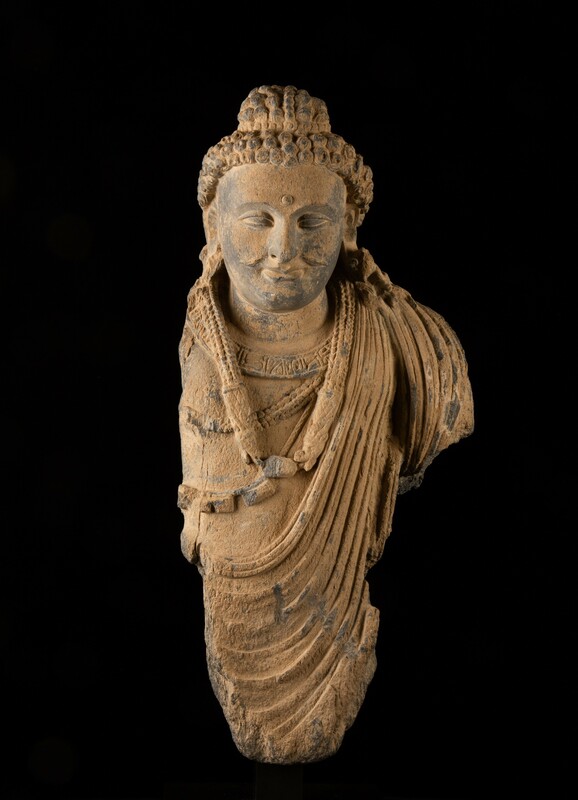 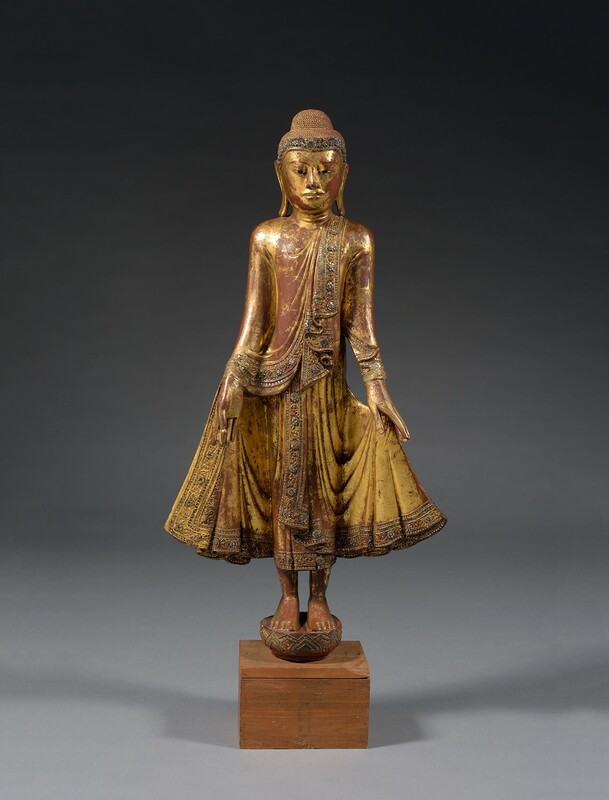 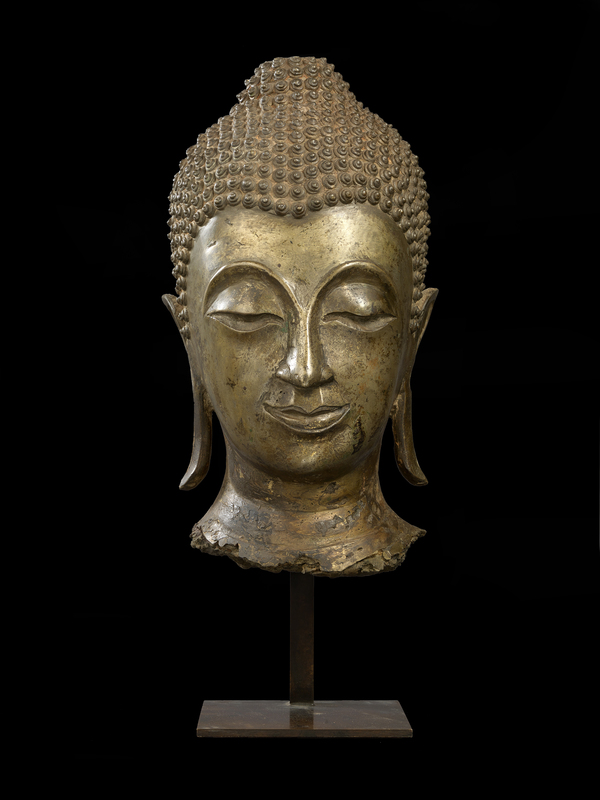 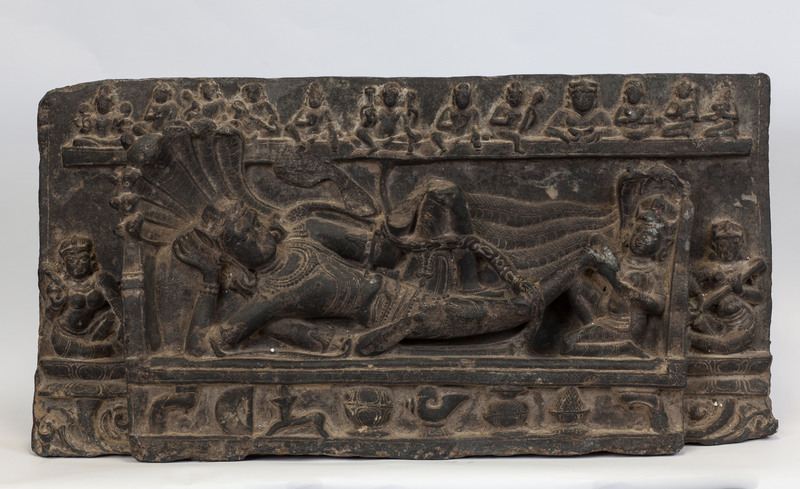 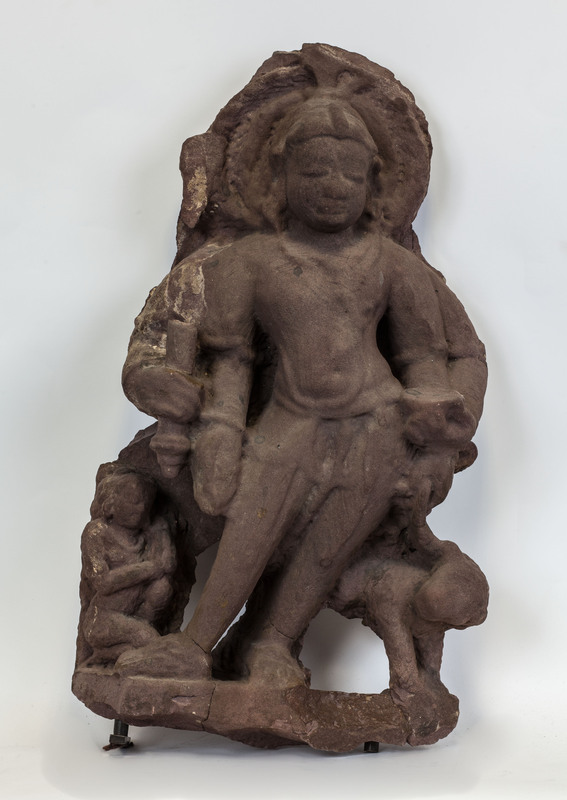 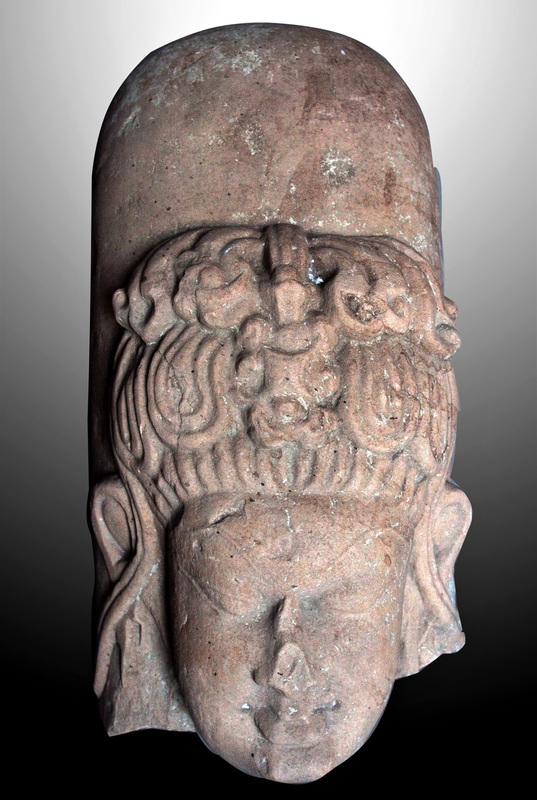 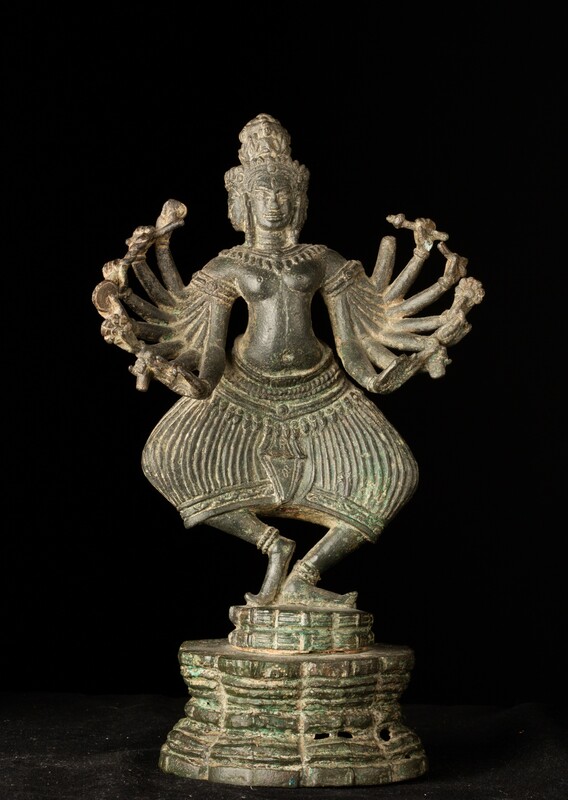 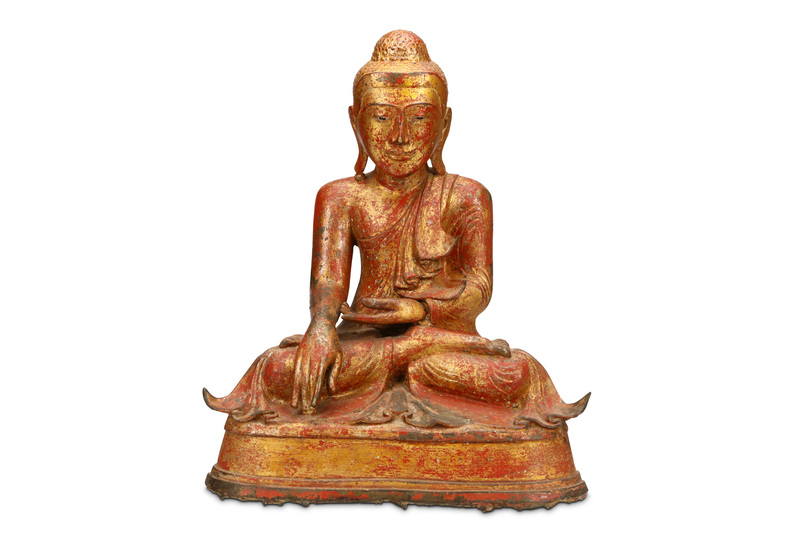 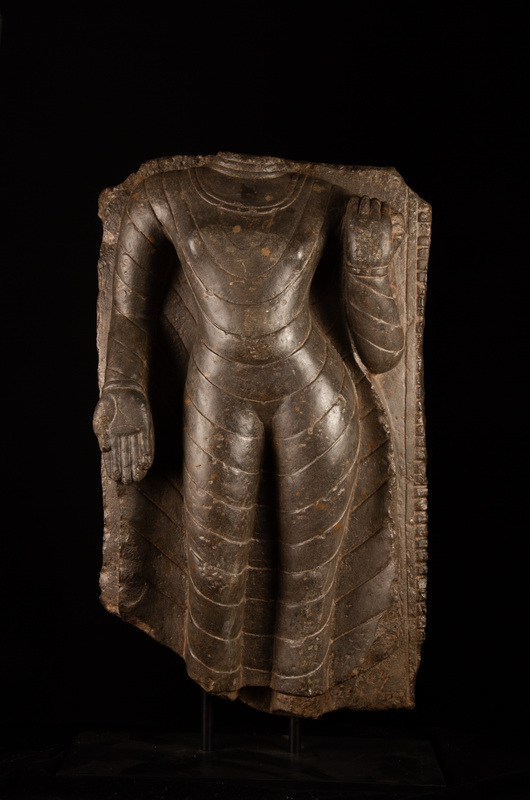 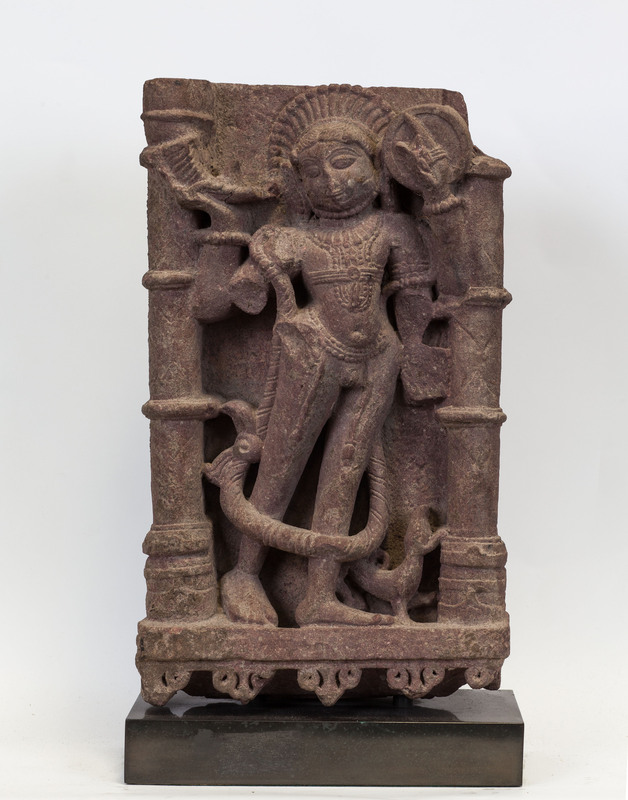 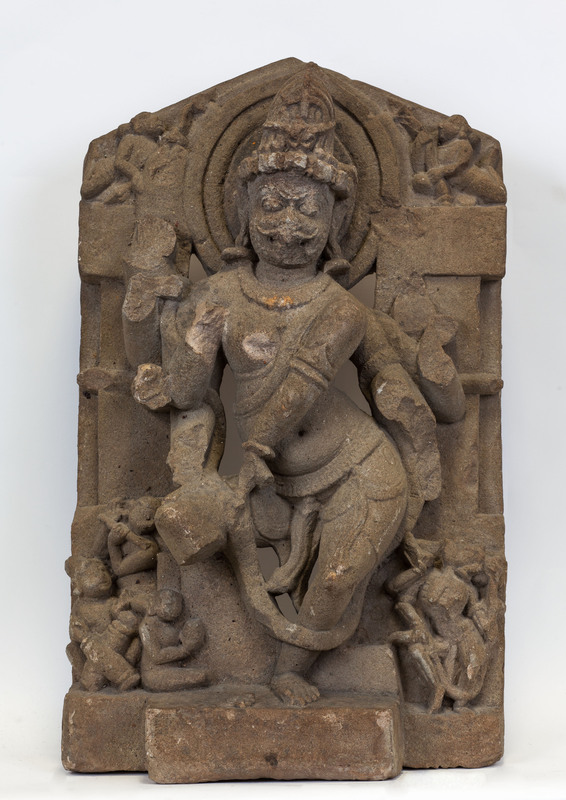 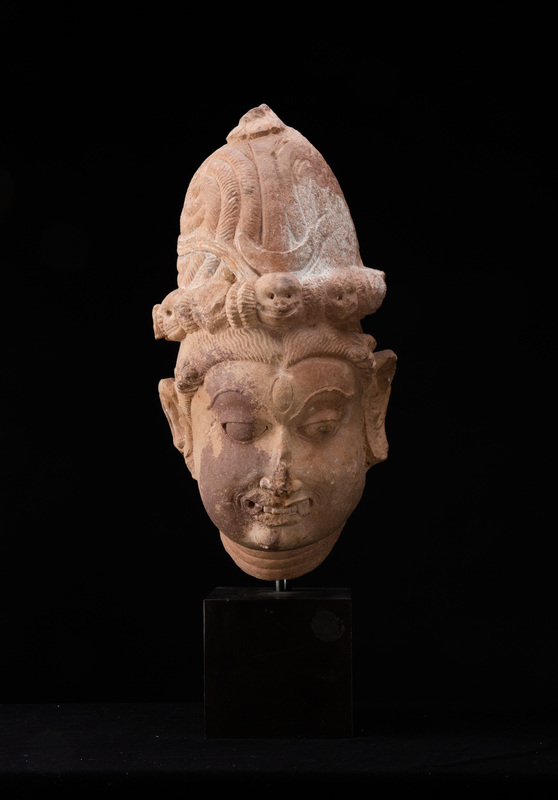 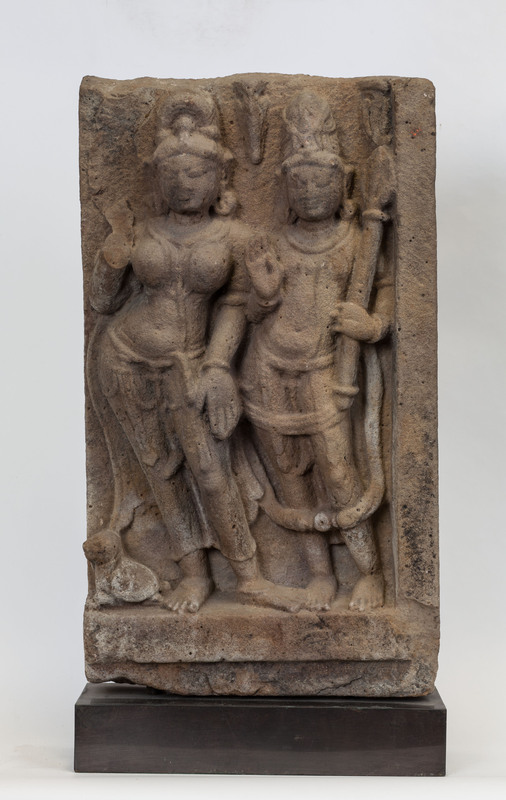 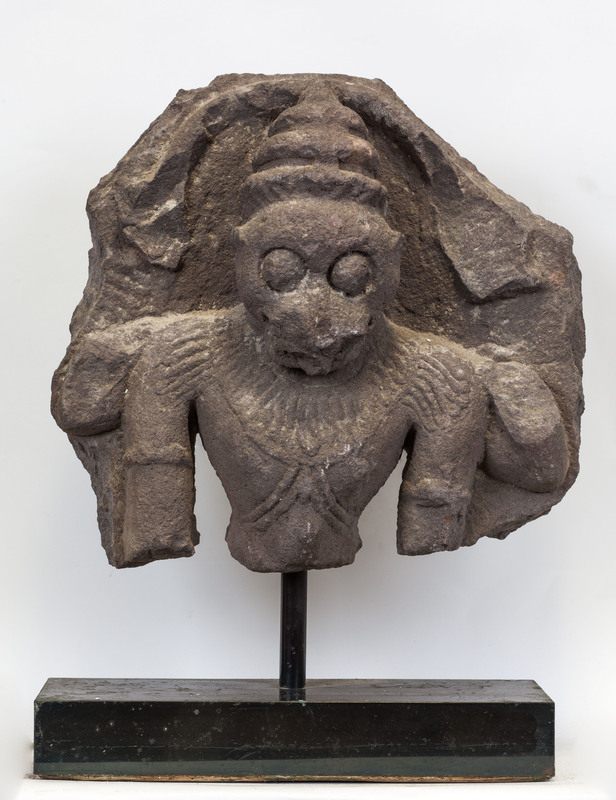 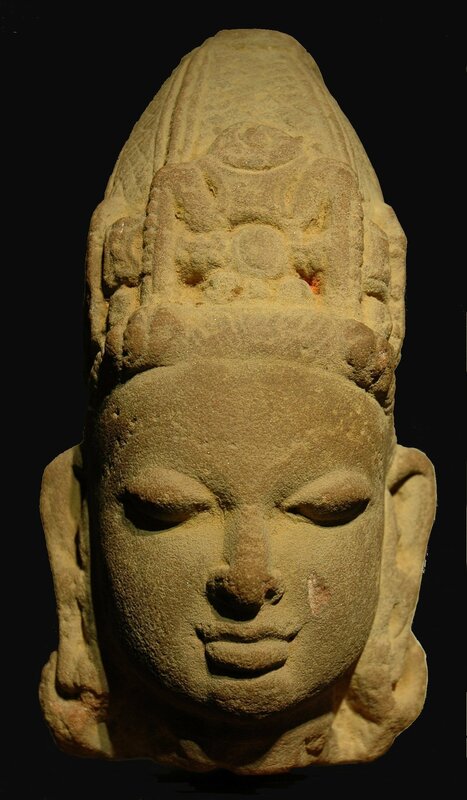 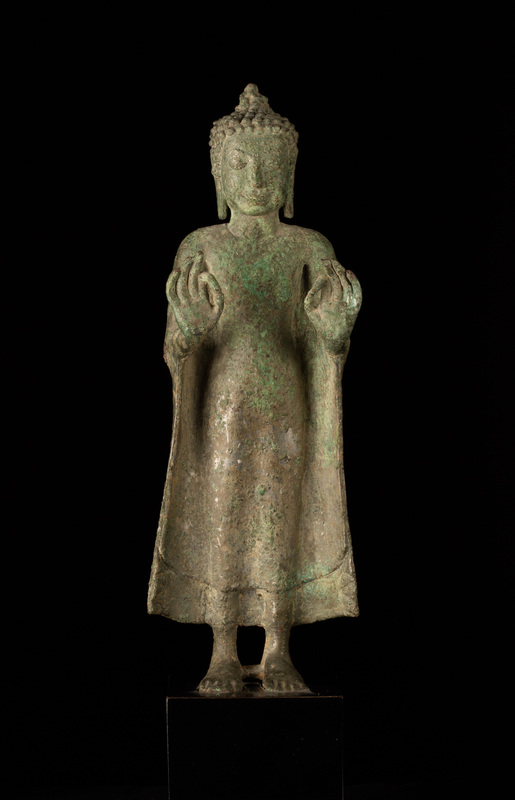 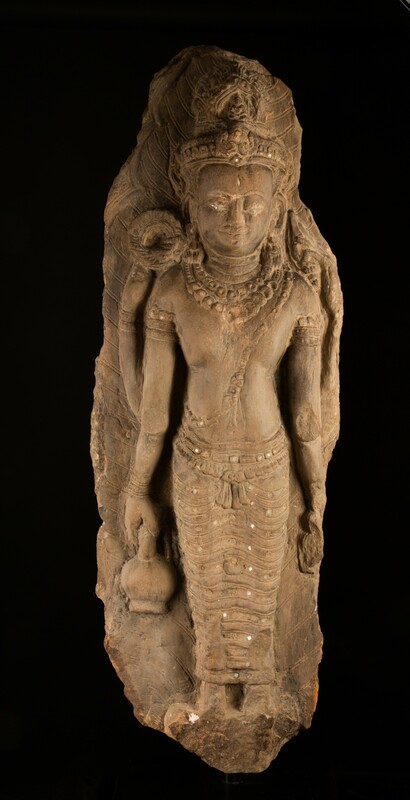 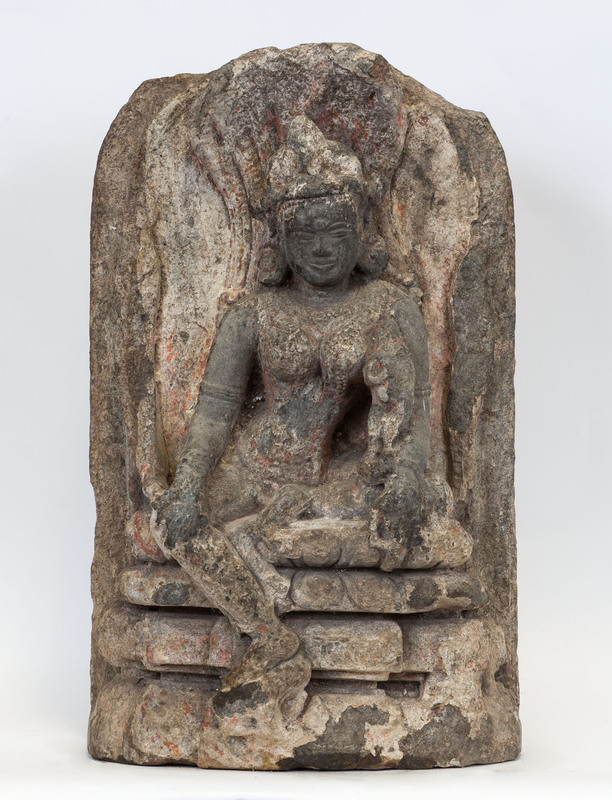 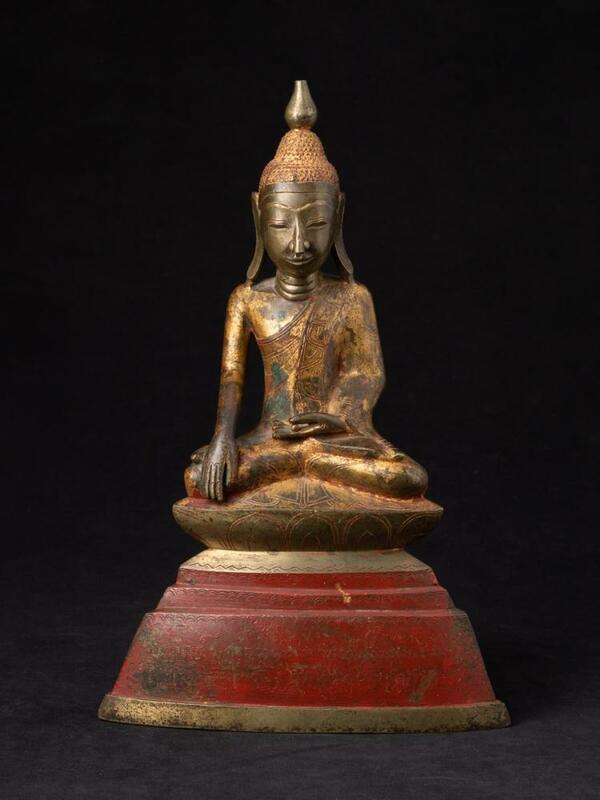 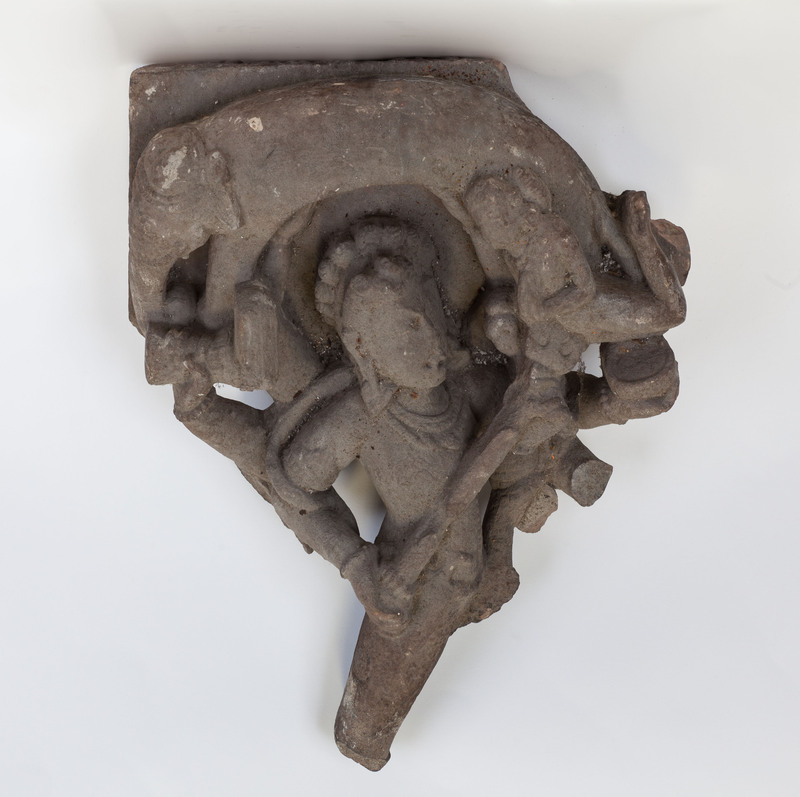 This delightful figure was created during the period of Thailand’s Ayutthaya Kingdom. 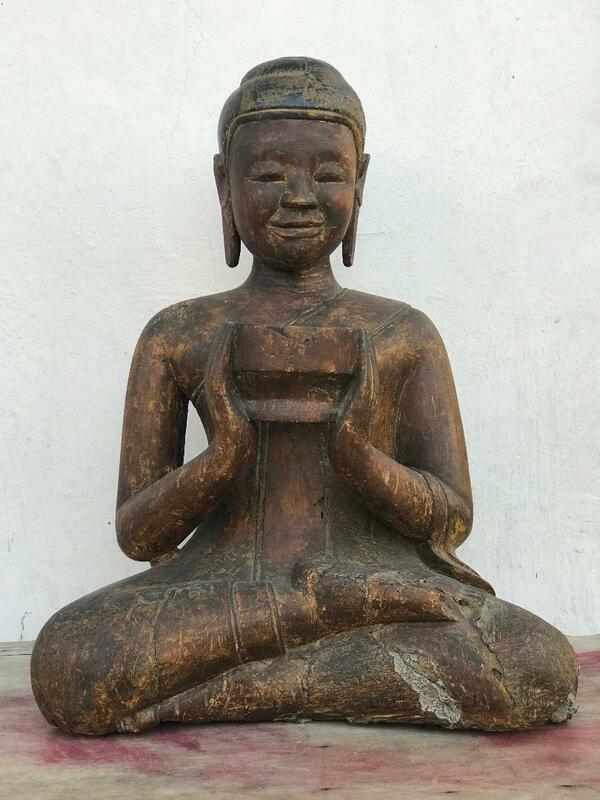 The kingdom of Ayutthaya, established by King U Thong in 1350 in the Chao Phraya River basin to the north of Bangkok was, until the Burmese attacked and burned its capital in 1767, one of the richest and most enduring kingdoms of Southeast Asia, attracting innumerable merchants and other visitors, not only from neighbouring Asian countries but also from Europe as well. 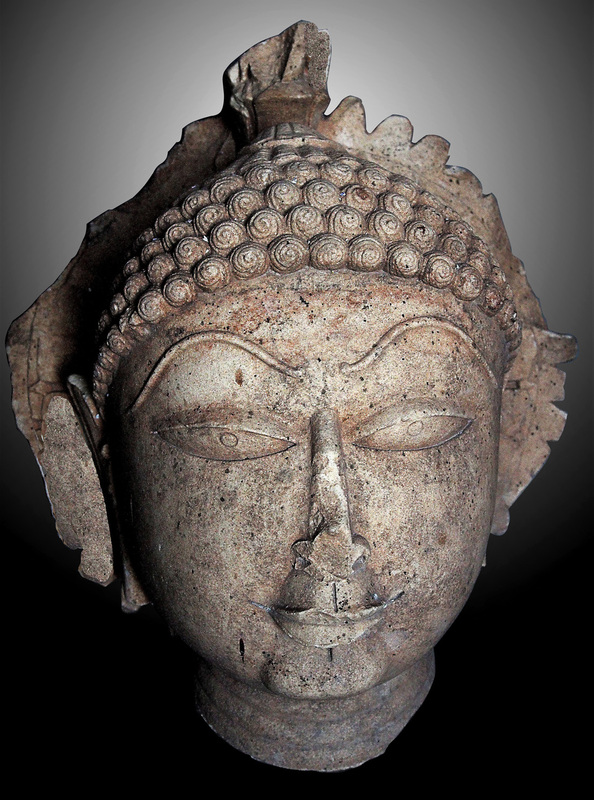 Colossal stone and stucco images of Buddha characterise the artistic creations of the early Ayutthaya period. 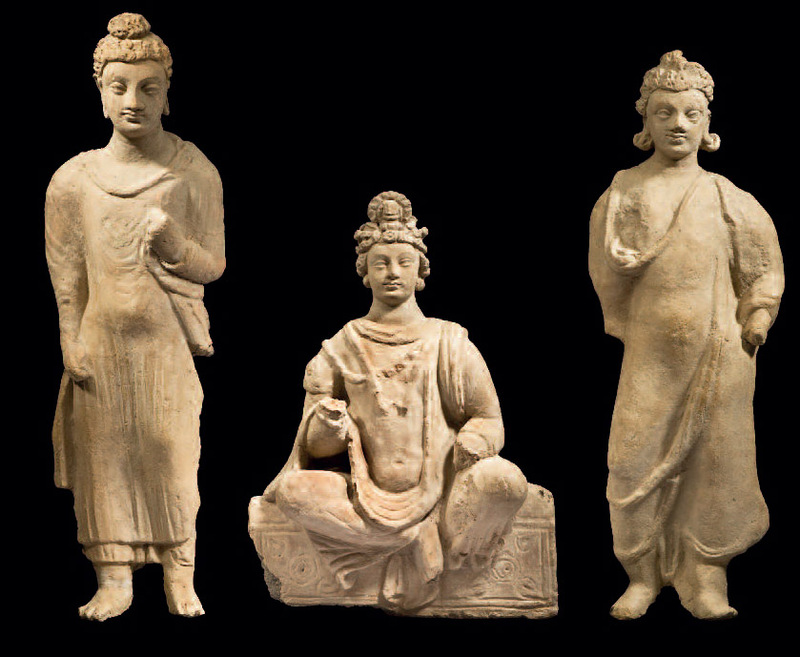 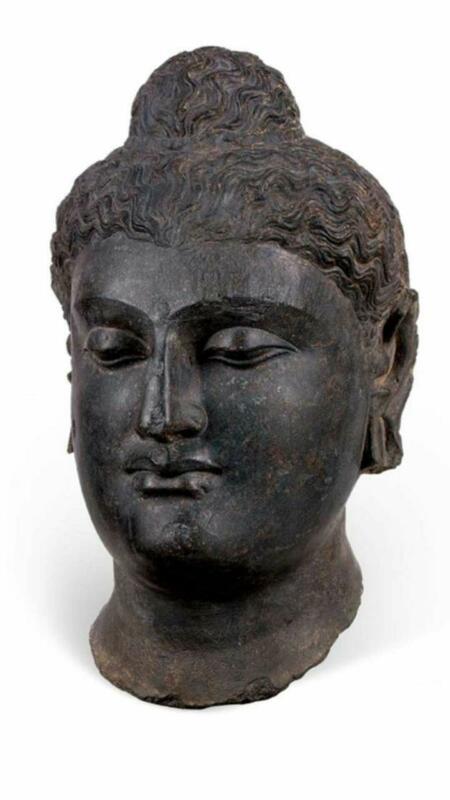 The Hermitage Museum, St Petersburg has a Buddha in similar style – see no. 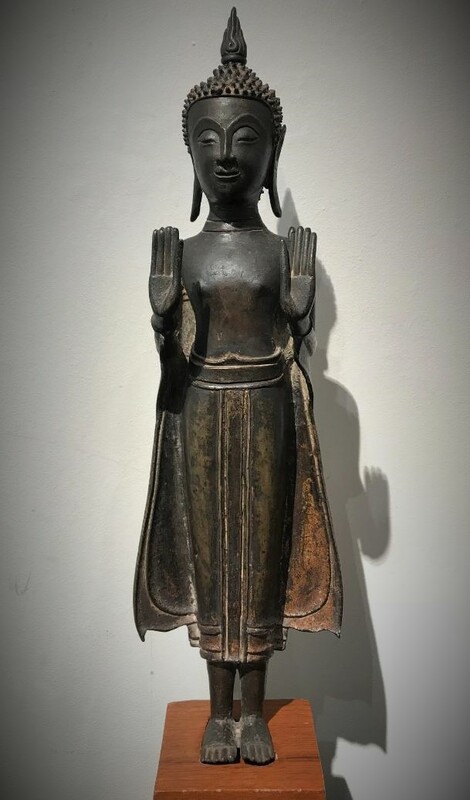 48 in State Hermitage Museum, Siamese Art of the 14th-19th centuries in the Hermitage, St Petersburg, 1997.